I was soooo excited to get my hands on the Crayola Crayon Melter. I have been eyeing it for a long time. As I do many Crayola products. I was so excited when Crayola asked me to review some toys for Christmas in exchange exchange for my honest opinion. 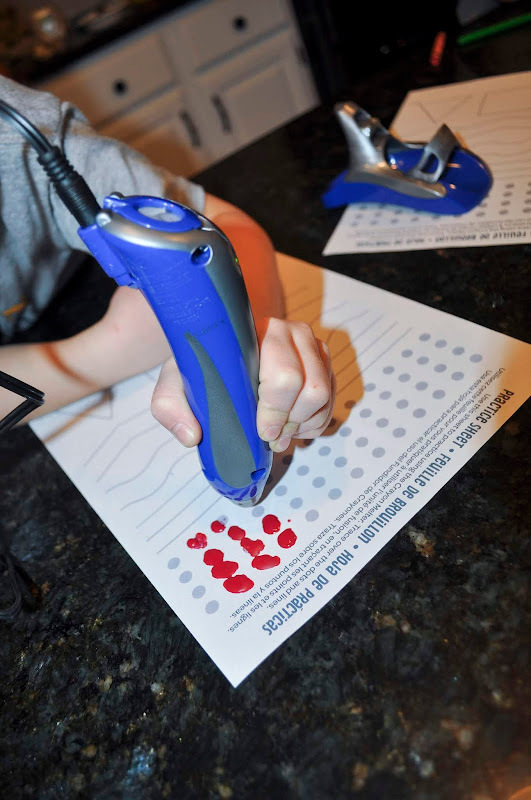 The Crayola Crayon Melter comes with; 3 practice sheets, 8 crayons to melt, an instruction sheet, the crayon melter, power cord and a crayon wrapper remover. The crayon colors in the package are different than the crayons on the box. The crayons on the box are pastel colors and the crayons included are a standard 8 count box, including black and brown. 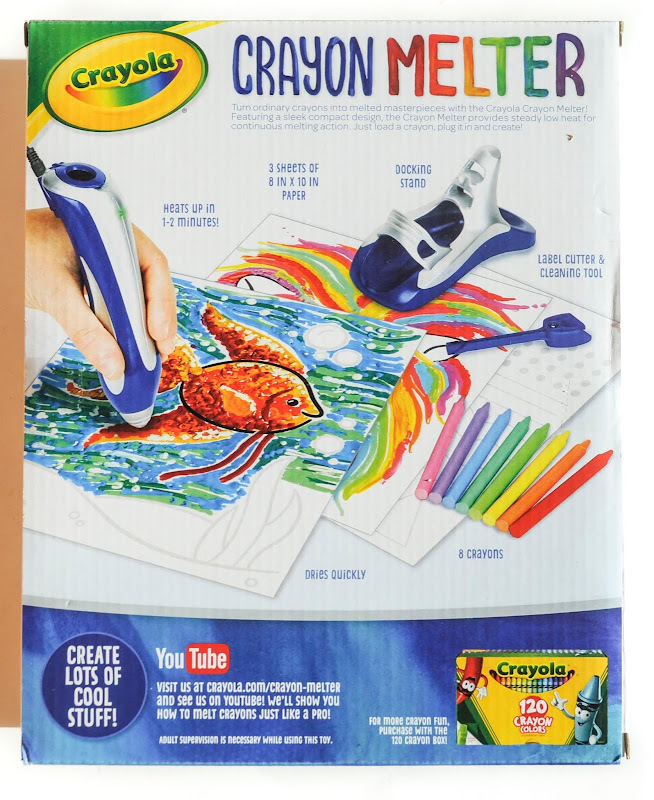 A crayon is inserted into the crayon melter. The melter melts at a low temperature and can be used in a few minutes. 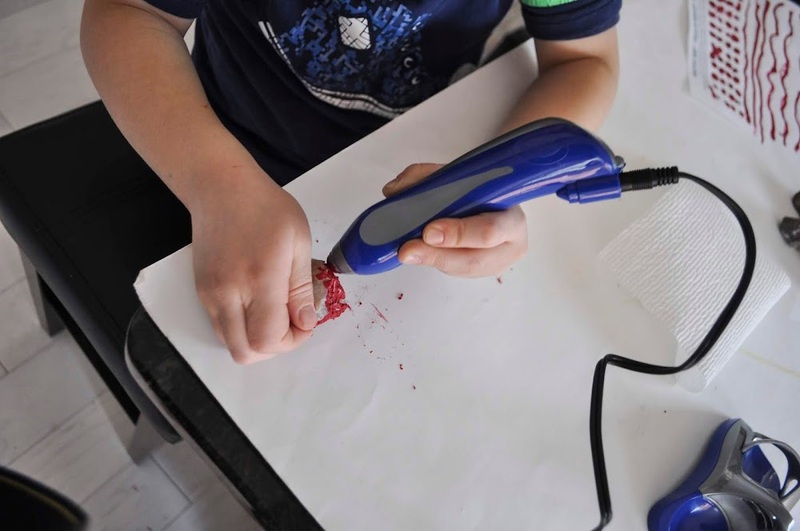 This was a worry of mine because I use glue guns often and my fingers end up not liking me very much. I am so glad this is low temperature. 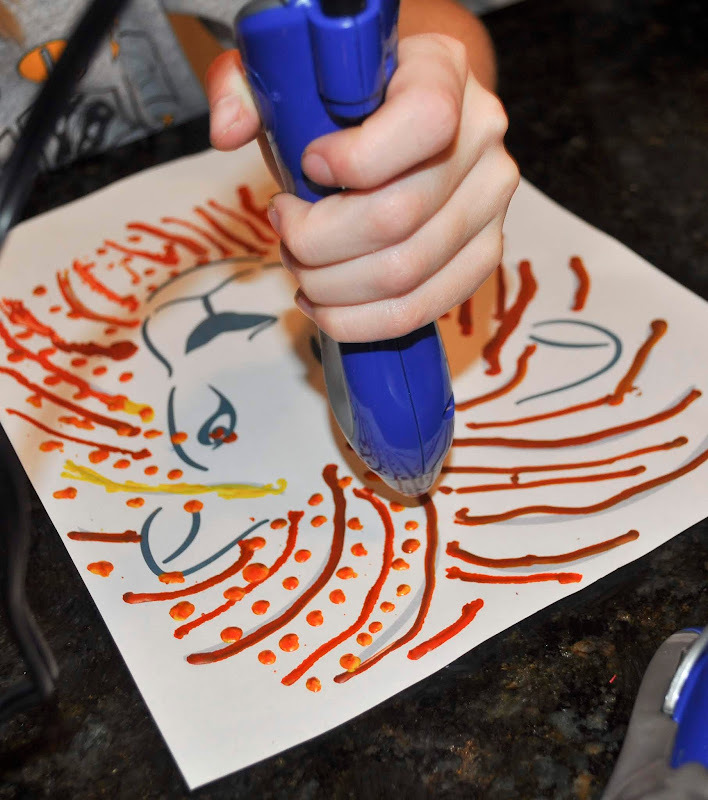 The melted crayon comes out of the tip, and can be used to draw lines or make dots. 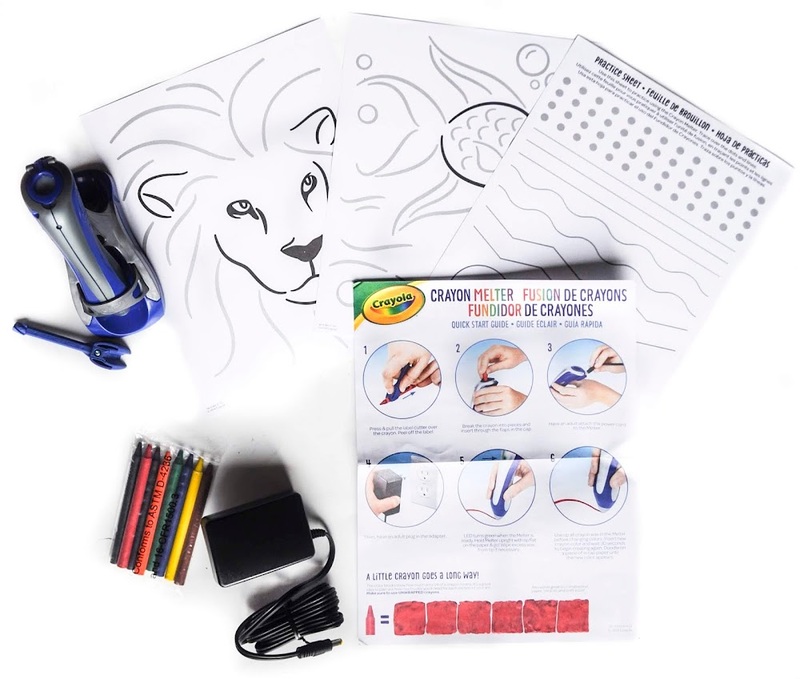 There are crayon melter sets that can be purchased to enhance the crayon melter experience; canvas art set, sticker art set, and creativity canvas. 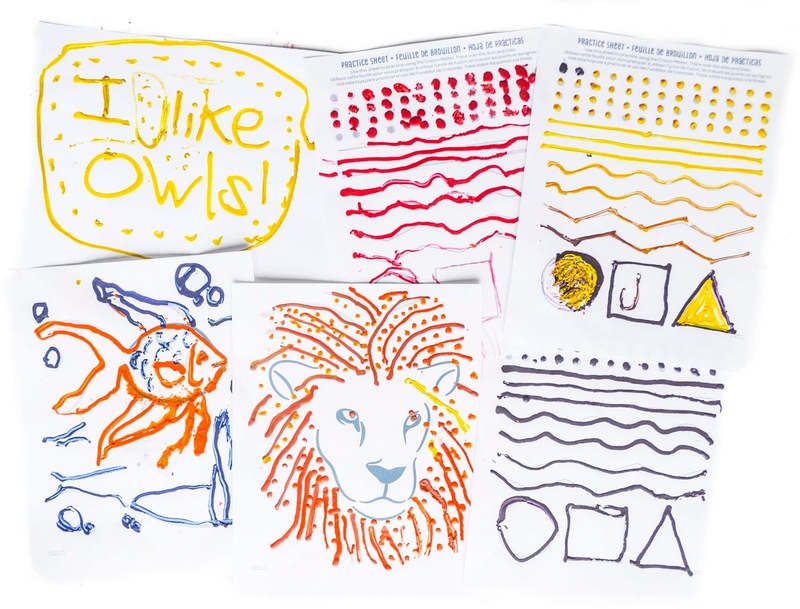 There are so many surfaces this crayon melter can be used on; paper, canvas, wood, cardboard, even rocks! 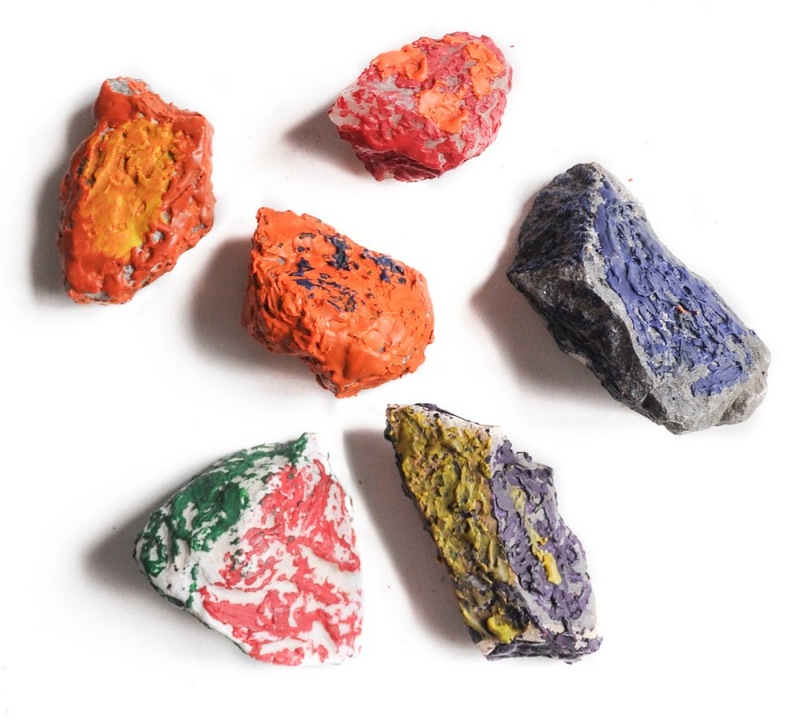 My kids love finding colored rocks on walks, we thought it would be really cool to melt the crayon on rocks. We were even able to color with the rocks after we melted crayon on them. Before we tested our skills on rocks we practiced using the melter. Crayola included some practice sheets in the kit. Here are all our finished products. We loved the Crayon Melter for the most part until we it clogged on us. Once we got it unclogged and we could used it again it was great. My son and daughter thought it was really neat the crayon came out of the tip. I would recommend holding the melter perpendicular to the paper to help the melted crayon come out easily. A warning to parents, this is a messy project. Melted crayon bits will get all over. But that is one of the fun parts of this toy. Make sure to have a rag and broom when finished. One great thing is crayon melting temperature is very low, even if kids get it on themselves it does not hurt. 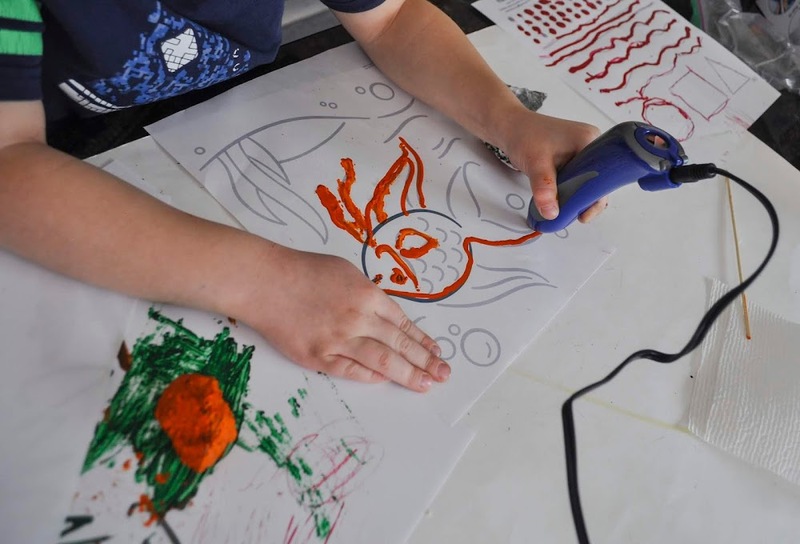 Also to change the color in the melter have a piece of scratch paper to run out the extra crayon, put the new crayon in and then melt some new crayon on the scratch paper until the desired color comes out. Color bits can also be combined for cool effects, we combined orange and red on the lion above. Here are some troubleshooting tips that we learned when it clogged on us. Only use recent Crayola crayons. We tried to use old ones, the paper was stuck on the crayon and it could have contributed to the clog. Only use Crayola crayons. We tried to use everything and anything. The thing is, this crayon melter was made for the melting temperature of Crayola crayons and not other brands melting points. It is a matter of thermodynamics. 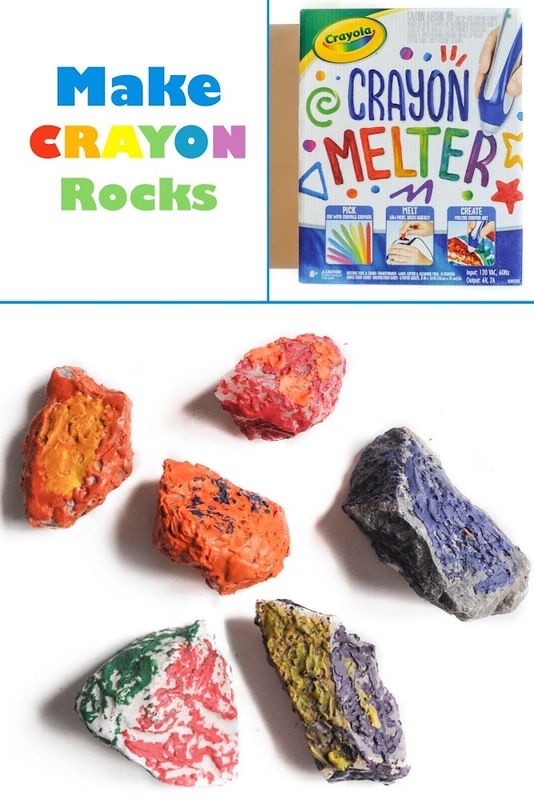 Break up the crayons and use a stick to gently push the crayon into the melting chamber. We did this after we got it unclogged and it worked great. We definitely put in too much to start out with. The kids can operate the melter, but have adults put the crayons in to avoid over stuffing the crayon melter making it more prone to clogs. 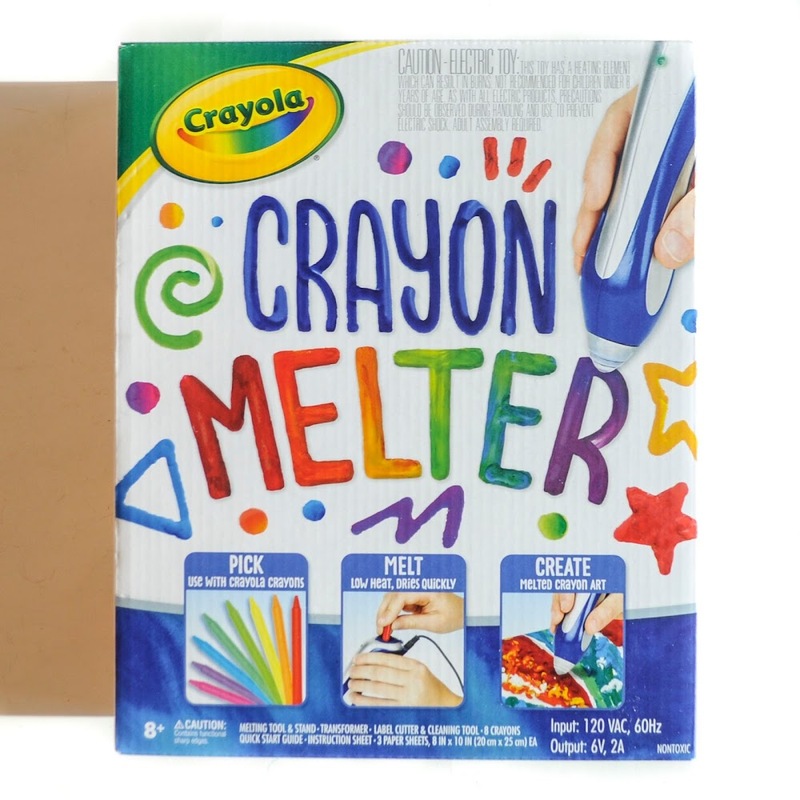 This is a first generation crayon melter from Crayola, meaning it is one of the first times they have made a crayon melter so it can be a bit finicky. We had some crayon get stuck in the crayon melter and had to dig it out. Here is what I would change from a design standpoint. Because the melter clogs up make it easier to clean, preferably by being able to disassemble the tip. The tip could be screwed on or the whole melting apparatus could be unscrewed to clean it out. But that aside, I would definitely recommend this crayon melter. I have never had anything like it before! The possibilities are endless with what it can be used for. We can not wait to use it again and make some more cool projects. Here is some collecting information for those that are interested. I think this is the first Crayon Melter ever made!